Or as Chester Riley (Bill Bendix) would say, "What a revoltin' development this is!" 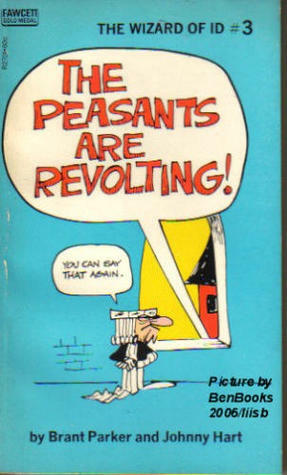 The King of Id once said, "The peasants are revolting!" I find this entire subject revolting. Actually, someone on the ground shouted it. The King, up in his tower, replied "they sure are". Or something like that. The one WoI I remember. I was thinking it might be the cover for a book. Thanks for the picture!